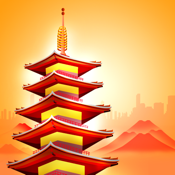 From the makers of NYC Way, rated Top 5 Travel App for 2010 - comes TOKYO WAY!!! The award winning team behind NYC Way gives Tokyo Way the one-stop app. MyCityWay Tokyo is an urban mobility platform that brings the city right into the palm of your hand, allowing you quick and easy access to the information you need and when you need it most! Perfect for Locals and Visitors – Find best local places, events, things to do, dining places and much more! Travelling to Tokyo? New to the City? Download the one and ONLY app that has it all. The city is in your hands now through our app. Using the built in GPS of your IPhone/IPod, Shanghai Way lets you know exactly what’s nearby and shows you directions on how to get there too! Don’t know where to visit? – No worries! There’s Tourism info! Need to use the subway? – There’s Transit information. As you keep going, mark your favorite places or make your own trip itinerary or use our pre-planned itinerary! All these in one app! AND did we mention all this for FREE! Get the app that does it all, and find your way with Tokyo Way!